In my last post about the features that are used in professional stenography machines, I found that those machines can be quite sophisticated. They also cost a pretty penny and for hobbyists like me, they can be quite out of budget! Thankfully, there are other options: custom machines, made available by community members. Those custom machines are much like mechanical keyboards in that they use components familiar to them: switches, keycaps, microcontrollers, and sometimes they even use the same firmware. They often eschew some of the features that professional machines have in favour of more affordable pricing and portability. The Open Steno project keeps a list of dedicated machines designed for use with Plover. The machines featured in this post are partly derived from that list, but I also include machines you can build yourself. A picture of the Splitography, one of the options featured in this post. In the sections below, you’ll see that there are plenty of options available if you’d like to learn stenography without buying an expensive machine. There are a few things I’d like to note before you read on. First, it’s entirely possible your existing keyboard may already be fit for stenography using Plover, especially if you have a gaming keyboard. You can check if your keyboard is supported by following the steps in the following article by the Open Steno Project: How do I know if my keyboard has NKRO? You might opt to go for a dedicated stenography machine since it’s more ergonomical, but you won’t necessarily have to. Second, for each keyboard I list the supported protocols. Plover supports all the listed protocols, so you don’t need to worry about compatibility if you’re just starting out. If you’re a professional, you might already be familiar with specialized software, and then it’s worth checking out whether your protocol of choice is supported. A note, though: if you use NKRO as a protocol in Plover, the keys on your normal keyboard are used for stenography too when Plover is running. This doesn’t have to be a problem, but using a different protocol can be nice. If you’re interested in stenography, these make for good machines to start out with. Pre-assembly is nice for people that want a more finished product, or for people that lack the time, skill or desire to assemble their own machine. The TinyMod is the most recent invention of Charley Shattuck. He also made the Stenomod, featured below. It has a small and portable form factor, and at $160 (at the time of writing) it is much more affordable than any professional machine. It is open source, you can find the TinyMod files here. The intent was to make a machine that’s good at one thing: Writing stenography. It is capable of switching between outputting TX Bolt and NKRO keyboard output, determined at boot by a two-position slider switch. The red key on the vowel bar replaces the number bar, freeing up a row of space, making it have a similar form factor to the Gherkin keyboard. It uses Gateron Clears, which are linear switches with 35g springs. The keycaps are from Signature Plastics, with their proprietary G20 profile. Their flat and wide profile makes them comfortable to use with stenography. Charley has written the firmware himself, and is time tested and used by many people. The most recent version of the TinyMod runs on an ATmega32U4 microprocessor, in theory making it compatible with other firmware like that of the QMK framework. The TinyMod by Charley Shattuck. Also made by Charley Shattuck, the Stenomod is an ever-evolving machine. It went through many revisions and is currently out of production. It used to be available for $200. It is open source, however, you can find the files for the Stenomod here. It is a one-piece yet split design, and is able to be tented through the use of a rugged hinge. 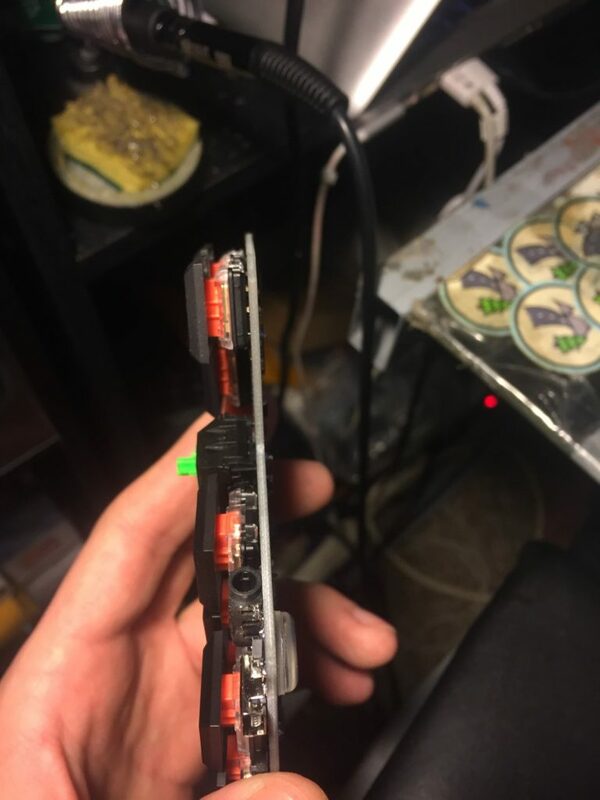 A ribbon cable connects the two parts, with another cable connecting to the computer. The design may change for the next iteration, if Charley starts the production again. If you’re interested in the history of the Stenomod, you may read more about it on Charley’s blog. The Stenomod by Charley Shattuck. Next to the StenoMod, the Splitography made by SOFT/HRUF was one of the first to appear in the custom stenography machine market. It’s pricing is comparable to the other options, at an average of $150. It’s also open source, so you could opt to order and assemble the parts yourself. The Splitography supports the GeminiPR and TX Bolt protocols, along with NKRO output thanks to being powered by QMK firmware. The Splitography is a split stenography machine, featuring custom molded POM keycaps and a sandwiched steel/acrylic case, making it look quite rugged. Since it features a full number row, it also has a proper fallback to type in QWERTY, making it more versatile than some of the other models listed. It uses Matias Quiet Linear switches, which require a similar actuation force of 35cN when compared to the often used Gateron Clears in other custom stenography machines, but due to the different mechanism they feel noticeably heavier to press. 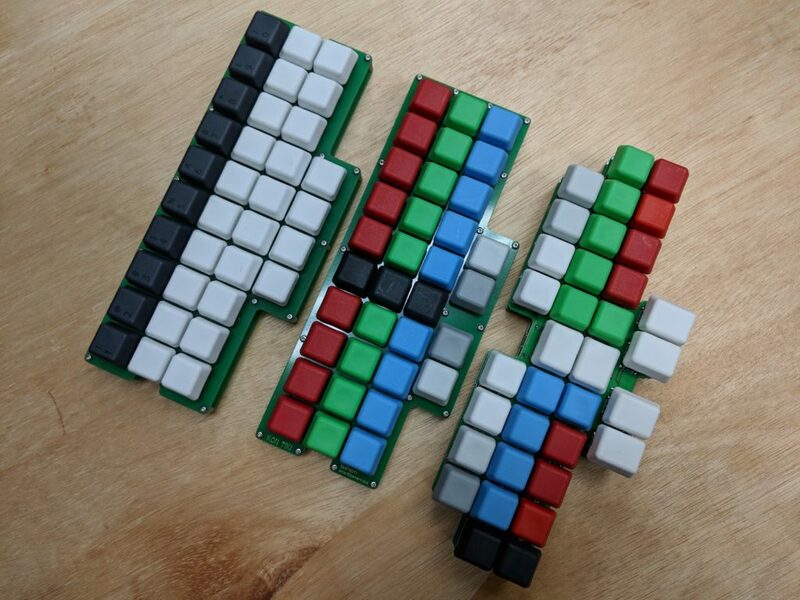 The Splitography runs on QMK firmware, making it customizable if you want to. Like with any board powered by QMK, there is a default layout provided. SOFT/HRUF also provides a quick start video which helps you get up and running. A side view of the Gergo, a larger variant of the Georgi with the same low profile. The Georgi is a new contender, aiming to be an affordable custom stenography machine: It costs $75 and comes pre-assembled like the rest of the machines in this section. It’s being fabricated at the moment, but you’re already able to place an order. Pictures in this section are of renders and the Gergo, a larger variant of the Georgi that already is in production. The Georgi supports the GeminiPR and TX Bolt protocols, along with NKRO output thanks to being powered by QMK firmware. Other than the price, its hardware too is unlike the other machines in this post. It is a split machine, similar to the Splitography. The Georgi also features a different key layout: staggered columns align with the differing length of each finger and the thumb keys are aligned with the natural resting position of the thumb, which is an often seen feature in the ergonomical keyboard community. The Georgi by Jeremy Bernhardt. It uses low profile Kailh Choc linear switches, with replaced springs to require a lower actuation force of 20cN, which makes chords much lighter on your fingers. The lower profile switches also have a lower travel, meaning you’ll need to press the keys for a shorter distance to actuate them. It runs on QMK firmware, meaning it will be fully customizable if you want to—but you don’t need to. Due to aiming at a lower price, a case for this keyboard is not yet available. The TRRS and Micro USB cables are not included, though available at his store for $7.00 and $5.00 respectively. We may see a case being designed for it in the future, available seperately or perhaps 3D printable. The underside of the PCB of the Georgi. 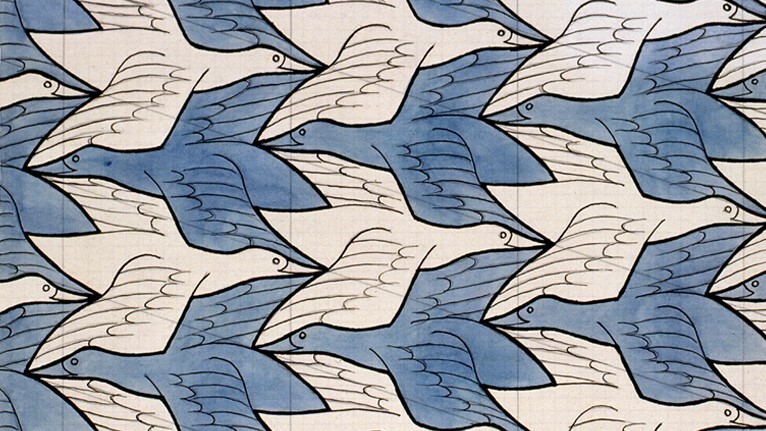 It will come in a blue colourway. The Stenoboard was the first custom stenography machine to hit the market, but has gone out of production some time after alternatives like the Splitography and the Stenomod appeared. It has been open sourced, however, so you could opt to order and assemble the parts yourself. It supports the Gemini, TX Bolt and NKRO protocols by means of a custom firmware. The case and keycaps are 3D printed, and it uses microswitches instead of levers or mechanical keyboard switches. The levers actually require quite a high actuation force of 73cN, which is more than twice as much as most other options listed here, which can be quite tiring on your fingers. If the pre-assembled boards are not to your liking, or if you want to learn soldering skills or are looking for a fun weekend project, a DIY board may be for you! Assembling your own keyboard often makes for a good first soldering project, especially after watching a few tutorials on how to solder. Keep in mind that DIY boards may not always be cheaper than pre-assembled boards – it really depends on the components, parts and materials you use. 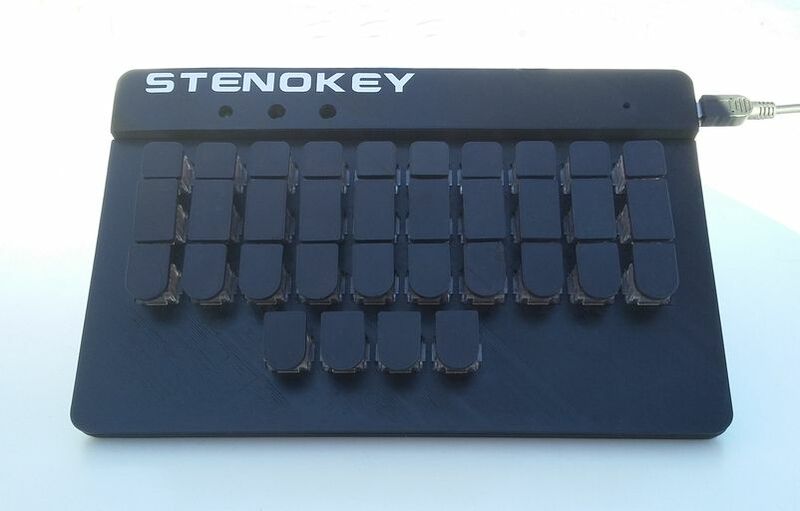 The StenoKey is an open source, do it yourself stenographic keyboard. It is aimed at makers with some electronics experience, and who have access to a 3D printer. It supports the GeminiPR, TX Bolt, ProCAT and NKRO keyboard protocols by means of the StenoFW firmware. The case and keycaps are 3D printed, and the design by default advices to use Matias Quiet Linear switches, the same as in the Splitography. Since it’s a custom build, you’re free to modify any parts you want. The bill of materials—the list of components you’ll need to make this build—comes to a total price of $46, excluding the costs of the filament for the case and keycaps, wire and solder, making it an affordable yet lengthy build. 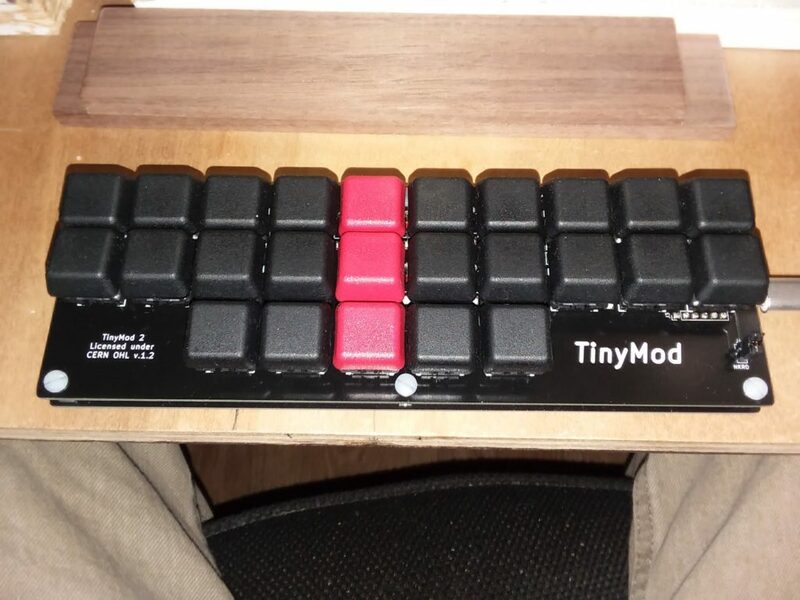 Community member di0ib of 40percent.club made three stenography keyboards based on his popular Gherkin design. They’re barebones but certainly no less capable than the other options, since you’re able to choose your own switches, keycaps and firmware. 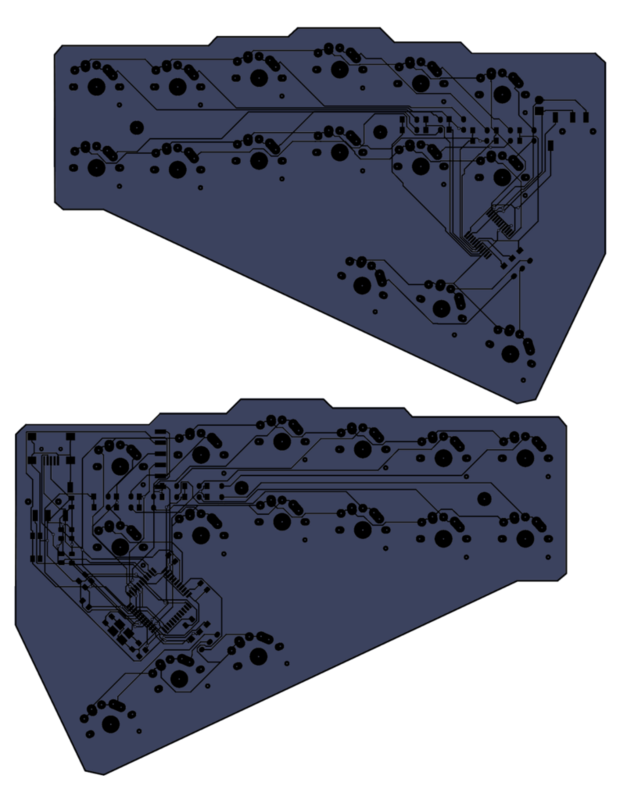 The designs are open source, meaning you’ll be able to order your own PCBs and components for them. The Kolea is the most recent iteration. It is a complete redesign, adding some keys in useful places, and removing keys that weren’t used. There is also a top and bottom plate available, like for the other two keyboards in this section. The Kolea supports the GeminiPR, TX Bolt, ProCAT and NKRO keyboard protocols by means of the StenoFW firmware. The Kon Tiki was the second iteration, adding two 2-key macro pads to a stock Gherkin. Using the macro pads allows the bottom keys to be split, making for a more comfortable experience. The Kon Tiki and the Outrigger run the same firmware, outputting NKRO keyboard strokes. 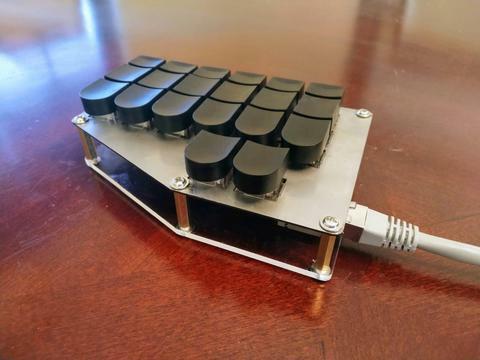 The Gherkin Outrigger was the first version, adding a four-key macropad to a stock Gherkin. The Outrigger, Kon Tiki and the Kolea by di0ib. There are many custom keyboards available that are not marketed for stenography, but do support it by means of the QMK framework. Some keyboards already have a stenography keymap added for them, but it’s quite easy to add your own. 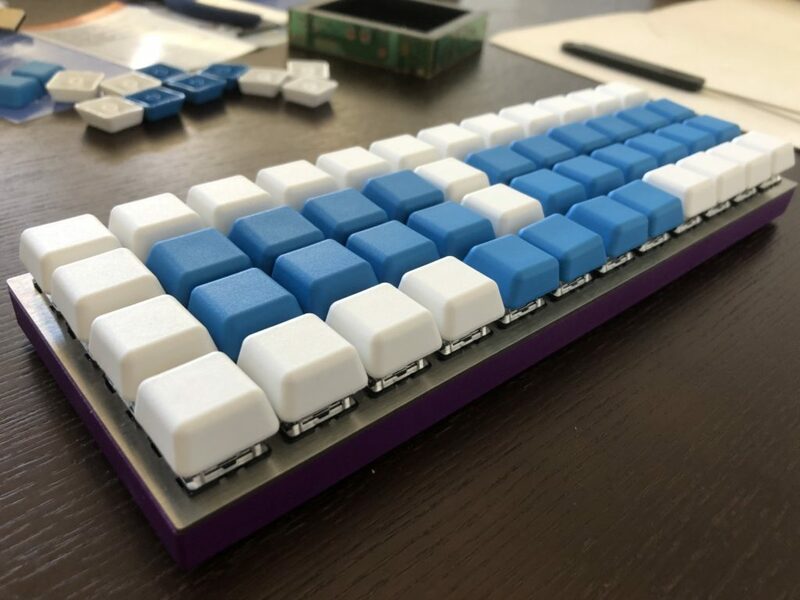 A great number of split keyboards are covered in this list of Awesome Split Keyboards, and they often support QMK. I list a few possible options by community members here. One keyboard that’s often used for stenography is the Planck by OLKB. 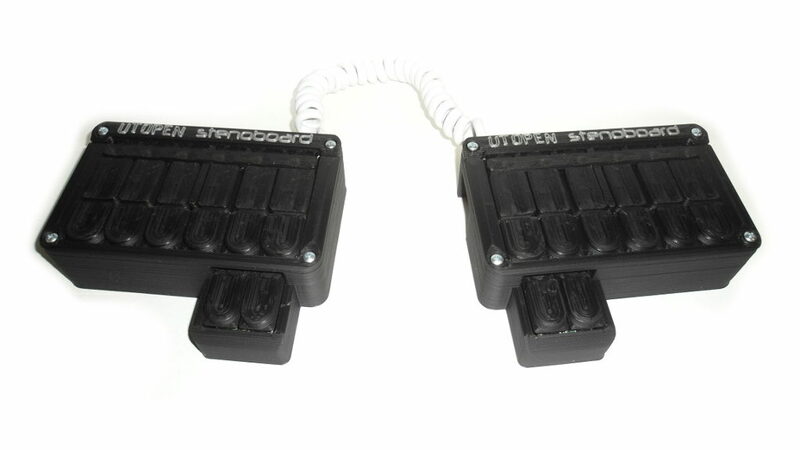 When assembled with relatively light mechanical switches, such as Gateron Clears (35g), they are very suitable for use with stenography. You can add Signature Plastic’s G20 profile keycaps for a very comfortable experience. The Planck by OLKB. This particular one was built by Diana MacDonald. She also made Typey Type, helping stenography students practise and master stenography. Another good option is the Corne keyboard, of which I’ve also published a build log. It has enough keys to accomodate the full steno layout, while also having enough keys to let you easily fall back to typing with QWERTY. It’s also one of the many split options, enabling a better posture if you’re looking for something ergonomical. The Corne keyboard is open source, but it’s frequently available at various stores: Keyhive (US), Mechboards (UK) and Booth (JP). The Corne keyboard, designed by Foostan. The picture is of Ted Morin‘s Corne Keyboard, featuring G20 profile keycaps. I’ve made a post about professional stenography machines and their features. Those machines were quite expensive, and the keyboards listed in this post are a lot more affordable. So, what gives? What makes these prices so much different? For one, these machines are mostly aimed at one thing: writing stenography. They don’t contain the more advanced features like per-key customization of actuation points, capturing audio or using the machine standalone for writing on the go. The machines featured in this post contain parts that are also often used in other industries, making them much cheaper than the lever mechanisms that are custom-made. With the variety of switches available, and even the option of swapping out the springs in switches, there’s plenty to customise. Another reason is that the market for stenography is quite tight. Professional machines are often bought by companies, requiring the most reliable machines with extended, dedicated customer support. For the consumer market, that’s different: they often don’t require audio capture, standalone usage or extended support. That said, these custom stenography machines can be just as reliable and customizable as professional machines, and you can type just as fast with them as with the more expensive alternatives. It’s a great way to get into stenography, whether you’re learning it to become a professional or if you’re mostly interested as a hobbyist. In the past few years, there have been quite a few developments in the custom stenography machine market. We went from having no options available besides second-hand professional machines, to having a large collection to choose from, often being affordable to boot! Your keyboard may already be supported by Plover, meaning you don’t even need to buy a new piece of hardware. If you’re ready for a step up, these machines can make for a more than adequate replacement for a professional machine. If you have any questions about stenography, be sure to check out the Plover Discord community, or check out these other ways to engage! Stenography is a way to efficiently input text as fast as humans can speak. The Open Steno project makes stenography available to use by professionals and hobbyists alike.